Why I train alone (and so should you). Your instructor’s class isn’t designed to improve your skills. That can’t be right surely? Your instructor’s aim is to help you improve. In theory your instructor’s aim is to help you improve, but he’s also trying to do that for all the other students in the class, and their needs aren’t going to be the same as yours. As a result every instructor makes compromises. Every time they try and help one specific person, other people aren’t going to be training what they need the most. So training with your instructor will help improve your skills, but not as fast as if you also work on them alone. You can’t drill your technique enough in class. Most people who’ve trained for any amount of time with a good instructor will have memories of one of those classes where you did one technique over and over for 60 – 90 minutes, so surely this can’t be right. You drilled that technique for a long time. You got lots of practice. So surely what I’ve just said is wrong? Lots of repetition of a technique is good and performance enhancing. Lots of repetition of a technique for a sustained period of time however can lead to fatigue which means adaptation (or sloppiness) and can create poor technique. As an instructor I still do long classes where I focus on one technique, but I try not to do them in such a way (ie different speeds and intensities and/or thin air/partner/pads) that the technique itself deteriorates. For all the time a student is drilling that one technique the instructor has chosen they’re not drilling others, which takes us back to the original statement. If the class is working a technique in which you have an average to good ability and not addressing one in which you are poor, you need to train alone to make up for that. Your instructor’s class is too fast. 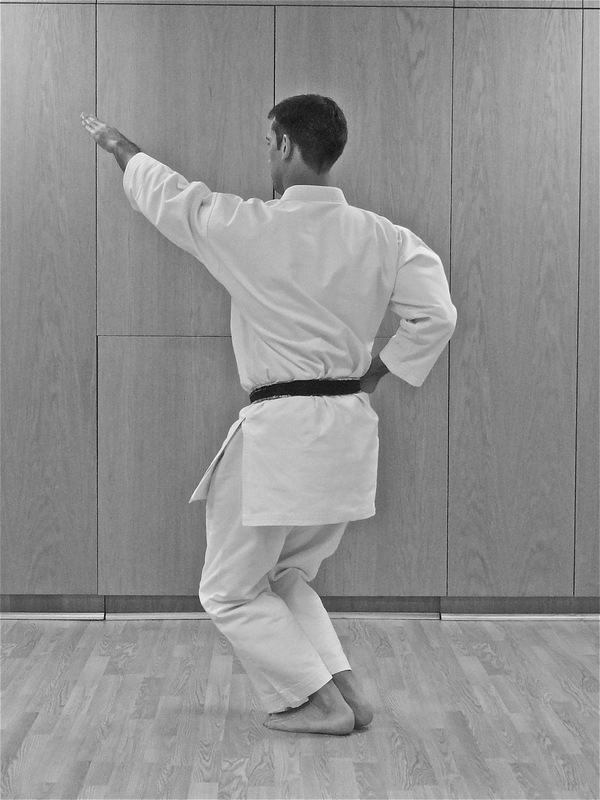 In a lot of classes techniques are drilled at a steady medium speed pace, but as I explained a number of years ago in Jissen magazine, that isn’t necessarily the best approach – it’s a compromise to enable the whole class to cover as much as possible in the time available. When training alone you don’t have to compromise this way, you can set best the pace to achieve your goals. Your instructor’s class is too slow. There’s too much impact in class. Impact is good. But it isn’t always what you need. Sometimes you have to step away from the pads and look at your biomechanics, work through the movement at varying speeds and make adjustments. If there isn’t enough impact in class then by contrast you need training time elsewhere against a bag to develop those skills. There’s too much paired work in class. I’m a great fan of paired work and in fact there’s very little time in my own classes outside the warm up and warm down where students aren’t paired up or working in groups. Pairing people in martial arts training is logical, we’re not practicing something that is designed to be used against thin air (except you martial artists in certain styles, you know who you are). Once you are paired up to a large extent you are playing someone else’s game: even when you are dominating the situation, it is the other person’s position that dictates the fine detail of your timing and position. Training at home alone allows you to break down movements and refine them so that when you next do them paired your performance is improved. Training alone is not a replacement for training with other people, but it is one of the best ways to ensure steady improvement. It doesn’t have to be for a long period of time, it doesn’t have to make you sweat, but it will make you a better martial artist. So the next time you put that kettle on, wait for that toast to cook, or just have a few minutes to spare, why not work something slowly on the spot?